With easy to access bi-monthly dinner meetings, webinars, and traditional face-to-face conferences such as Education Day & Annual Symposia, members enjoy numerous opportunities to network and learn with other co-workers, industry leaders and key government officials. Our quarterly NOC Magazine, exclusively available to CAPRA members provides regulatory professionals with insightful & up-to-date information on regulatory, legal, industry and quality matters affecting all types of health products. We are pleased to provide an online access to the magazine and its archived copies to all members. CAPRA bi-weekly email broadcasts keep our members informed of the newest employment opportunities, Health Canada releases, upcoming events, and more! 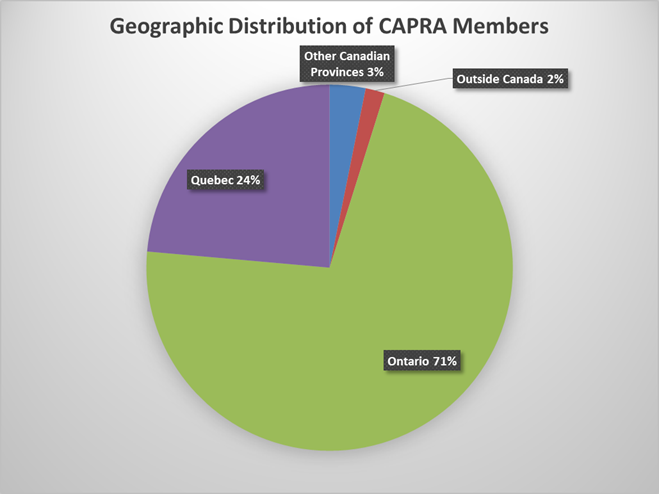 This member-only resource lists all active CAPRA members and is searchable by name, company and location. The directory provides information on member profiles, and allows members to update their records online. Active members have access to online job postings listed in the members section area. Our member's only area of the CAPRA website has archived copies of the NOC magazine, CAPRA e-Newsletter and presentations. CAPRA members contribute to the success of this volunteer organization, and allow us to deliver great programs and services at very competitive rates. Members get reduced rates for Dinner meetings, Education Day and Symposia. Students in recognized Regulatory Affairs programs get preferred rates for dinner meetings.